that's TRULY designed around YOU. Looking and feeling as good as the real thing, SP Turf® artificial grass is the eco-friendly alternative to traditional grass lawn and putting greens. The perfect addition to any outdoor living space, our SP Outdoor Living Elements turn ordinary backyard designs into true extensions of home. Looking for curb appeal ideas? 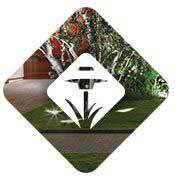 Showcase the beauty of your home with a fully integrated outdoor lighting system. Our design experts can create the perfect mood. 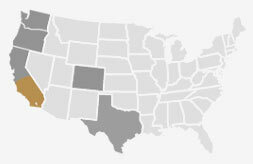 Currently we serve homeowners on the west coast and in Colorado. If you're not in our current service area, we may be in your neighborhood before you know it. In the meantime, we hope you'll find our site a source of inspiration. System Pavers was prompt, and fulfilled all their promises. They finished the work in a timely fashion, and our back yard looks fabulous. We are very happy with the finished project. Everyone involved was very professional. 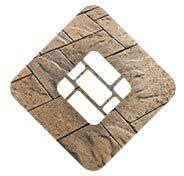 I would Highly recommend using System pavers for your next outdoor project. 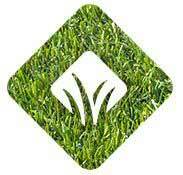 I would not hesitate to recommend System Pavers to anyone. From start to finish they were extremely professional. Our project looks great and we are very satisfied with the quality of the installation. Professional from beginning to end, would highly recommend them. We are excited to finally put our backyard to use with our family! Michelle was great to work with, very responsive and understanding of our needs. Excellent company to work with. Pleasant and terrific follow through by all concerned. Highest quality of workmanship. Well supervised and directed. System Pavers exceeded all of our expectations. From our designer Jim, to our project manager B.K. and not least, the sheer artistry of Geno with our cobblestones, we are over the moon and happy with our completed project. Their work really enhanced my enjoyment of my driveway because it now looks like a courtyard. It also enhanced my curb appeal. I am very happy with it. Great job on an extensive front and back yard remodeling. Would recommend System Pavers! Great company to work with; they have very hard workers who were professional, clean, and efficient. 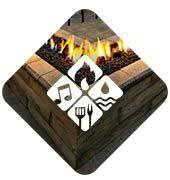 System Pavers was a wonderful company to work with, I would highly recommend them. The crew was courteous and followed all instructions. They were prompt, also. The project manager was informative and helpful. The foreman was very talented, and did a fantastic job. They did a great job. They were fast,cordial, and did everything they said they were going to do. It turned out beautifully. The crew was very professional. We enjoyed having them here. They genuinely cared about the job and our impression of how they were doing it. Excellent design and installation of our driveway, sidewalk and entryway. Will use them again for our patio area.